The jet then warned pilots incorrectly that it was stalling, and pointed its nose downwards in response. From July 2013 to March 2016, he served as the vice-president of Safety, Security and Compliance, and oversaw the Commercial Airplanes Organisation Designation Authorisation - a programme that takes on specific safety certification duties on behalf of the US Federal Aviation Administration. 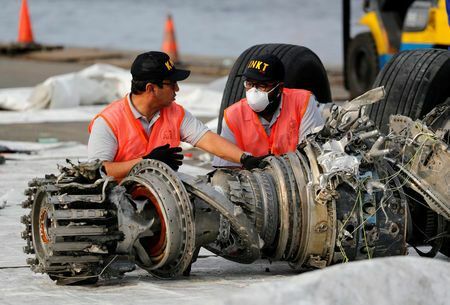 The preliminary report into Lion Air Flight JT610 crash, published by Indonesia's National Transport Safety Committee (KNKT) on November 28, 2018, revolves around data recovered from the Flight Data Recorder (FDR). In an open letter on the Boeing's website, company CEO Dennis Muilenburg said: "soon we'll release a software update and related pilot training for the 737 MAX that will address concerns discovered in the aftermath of the Lion Air Flight 610 accident".